Every graduate school in the U.S. has a unique structure and set of components that comprise the graduate school experience. In fact, there is a lot of inherent variability even within the departments of the same school. So although it’s impossible to capture or sum up the graduate school experience – there are some core components that most students will encounter as they pursue their Ph.D. So to properly prepare for graduate school it’s vital to begin at the beginning. Start by learning about graduate school in order to inform your preparation process. There are both formal and informal ways to learn about the graduate school experience, and I’ll explore this in further detail below. In this blog, I hope to shed some light on preparing for graduate school but most importantly highlight some informative resources that you can turn to as you begin this process. I’ve been preparing for graduate school since high school, or more accurately I’ve been preparing to conduct research since high school. I discovered very early in my academic career that I was insatiably inquisitive and had a passion for bacteria – and naturally, the only place that seemed to satisfy my appetite was the lab. I realized that my burning curiosity, eagerness to learn, and penchant for independence was well suited to tackle research questions and hopefully (fingers crossed) resolve them. However, any student that has successfully tackled graduate school probably had a unique experience and journey. So any advice that you seek, even from a ‘successful’ student about preparing for graduate school, should be weighed against advice from others. Talk to graduate students, postdocs, and professors and ask them about their scientific journey and what made the difference. Most scientists like to reflect on their journey and offer advice, so don’t be afraid to ask. In fact, one of the main reasons I was able to successfully prepare for graduate school at an early age was because I actively sought opinions and advice from graduate students and post-doctoral researchers. I carefully reviewed their advice and allowed it to inform my journey to become a better scientist and to ultimately tackle graduate school and earn my Ph.D. (in progress). So I hope to impart some helpful advice that is the culmination of advice sought from others and wisdom I’ve picked up along the way. But above all else, the most important piece of advice I can give is to NEVER count yourself out – this will be vital at any stage of your scientific career. This piece of advice might seem trite but it couldn’t be more true. Because becoming a successful graduate student is NOT contingent on knowing how to do everything or having an in-depth knowledge of the field. Rather, it’s about successfully navigating challenges in the lab and in the classroom until you trust yourself. Once you trust yourself and your own capability, then any academic or research-based challenge you encounter in graduate school will be easy to navigate because you might not know HOW you will overcome these challenges but you trust that you WILL. I’ll swing back to this at the end of the article, but for now, I hope to offer some resources, principles, and tips that have guided me along the way. So let’s begin at the beginning. The main component of graduate school in the STEM fields is research. This is a strong shift from the undergraduate experience because it mainly focuses on academic achievement partially injected with research experiences. So the main focus is to become a better scientist, not a better student per se. This involves: (1) understanding your field, (2) identifying a research question that hopefully advances the field, (3) designing and executing experiments to tackle your research question, and (4) finally effectively communicating your research to other scientists and the general public. This is the definition of a scientist in the strictest sense. Frankly, each stage of graduate school deserves its’ own blog so, for now, I’ll focus on the traits listed above that will prepare you for graduate school. To learn about how graduate programs are structured begin by researching different programs, this will give you a strong impression of the general format. For example, refer to the University of North Carolina (UNC), Emory University, or Yale University for good examples of the overall setup. Each school defines the requirements, training atmosphere, and research disciplines that comprise each respective program. Whether you are a high school, undergraduate, or postbaccalaureate student this should be your first stop. Take the time to carefully review graduate programs from different schools and learn about the training environment and the types of research that each school conducts. Graduate school is a hard and long experience. So before you prepare, it is crucial that you define what you are passionate about and why. This is the fuel that will propel from one stage to the next and most importantly this is the fuel that will sustain you in the long and arduous journey that is graduate school. So even if you have the grades, the research experience, and great recommendations – that might be sufficient to get you into graduate school. But this must also be complemented by independence, passion, and tenacity. These traits will keep you there and most importantly you’re most likely to enjoy your experience. What am I passionate about? Bacteria. I love bacteria. From a young age, I marveled at these minuscule molecular machines that are invisible to the naked eye and often regarded as the most rudimentary forms of life. Yet, they can survive in places that no other animal could dwell but most importantly they thrive. I’ve always regarded bacteria as molecular underdogs – and consider it an honor to study them and unlock their mysteries. So it’s important to identify what you're passionate about at an early age, and part of this process includes identifying things you don’t care about! So where should you begin? I’ll break this down according to each respective academic stage. If you are generally interested in any of your STEM classes then sign up for a more advanced class in that discipline before you graduate. Why? Because advanced classes will challenge you intellectually and force you to gain a deeper appreciation for the subject you might like. Taking advanced classes will undoubtedly reveal and refine your interest in the subject or potentially convert your initial interest to a more sustained passion. Alternatively, you might hate the subject once explored in depth – and then you can simply cross it off the list and move on. After discovering my love for biology, I took an AP Biology class and relished every lecture and found the experience both challenging yet fulfilling – and I knew I was in the right place. As a counterexample, I took an AP Chemistry class and thoroughly detested the experience, so I never looked back. So use advanced classes to begin to find or refine your passions, and strengthen your intellectual muscles. Simply, talk with your advisor to identify which AP classes are appropriate for you and talk to senior students about their experiences. Since research is the main component of any STEM graduate school experience, apply for local or national summer research experiences. Experts across different fields agree that it is incredibly beneficial to enter the lab at an early age. I grew up outside of D.C, less than 15 minutes away from the National Institutes of Health (NIH), so finding and securing a summer research position as a high schooler was relatively easy. So how can you find or secure a summer research internship in high school? Go to your counselor to see if there are any listings in local school or research labs. Consult with the Department Heads in your school as they are more likely to know about internships that have not been formally posted. Simply Google, search for keywords like “engineer,” “internship,” “STEM,” and look for any local listings. Search local universities or community colleges by going onto lab websites to see if there are any open listings for high school students. Make your own internship! I’ve helped many students reach out to professors to apply for a summer internship in their lab even though there was no formal listing! So find some researchers that you might be interested in and compose a professional email to encourage them to take you on for the summer. Many labs are looking for extra help on projects. Finally, apply for national summer internships. Although these can be very competitive, don’t forget the most important advice from my blog – NEVER count yourself out. Have an advisor or mentor help you assemble your application. If you are a New Haven resident, the Pathways Program at Yale University has incredible summer science internships for high school students at each stage. Virtual STEM experiences: There are also virtual programs designed by incredible institutes like the New York Academy of Sciences, that you can participate in during the school year. These virtual STEM programs maybe more conducive to students that are still considering STEM or are restricted geographically or financially from onsite summer internships. Click below to learn more about these impactful virtual STEM programs. Try to find an upperclassman as a mentor. When I was in high school most of my close friends were older, and I was able to lean on them as an invaluable resource as I took harder classes and tried to secure summer internships. I’m also a middle child within my group of six siblings, so I had the luxury of watching their trials and triumphs and learning from them before it was my turn. I always took this very seriously, so while my older siblings didn’t necessarily ‘train me’ I trained myself to watch their process to inform my own. Even if you can’t do this within your own family this can be achieved by finding older mentors. They have already walked the road that you are about to embark on and can make this stage of your scientific journey a little easier and identify resources and tips that they acquired a long way. Also, find faculty members in the field that you are considering that are willing to mentor you. They are the most invaluable resource because they will see your potential before you do and they will challenge you and help you grow. Explore STEM blogs, Get Inspired! Read STEM blogs like this one! Many graduate students document their experience and many general blogs create strong guidelines that are a necessary and useful part of your journey. For example, this blog has a wealth of resources and personal stories for high schoolers pursuing STEM careers. Comb through the revered TED talks/blogs to discover countless riveting and eye-opening portals into science and STEM and get inspired. If you are an early undergraduate student or a senior student these guidelines are important regardless of your academic stage and will be very effective if you start early but can still be accomplished if you are committed to successfully preparing for graduate school. It’s very important to join a lab or gain a summer research experience as early as possible. After graduating from high school I knew that I wanted to continue to do research so I spent the summer before my freshman year carefully reading about the research within the Molecular Biology department. I emailed professors to secure a position as an undergraduate researcher. Within a few days of arriving on campus, I interviewed in a few labs and chose my favorite and within less than two weeks of arriving on campus, I was conducting research in a lab where I would remain until graduation. I didn’t have extensive research experience but they saw my passion and commitment, so I secured my spot! As long as you are willing to respect the position many Principal Investigators (PIs) are happy to offer you an undergraduate research position. Even if this isn’t the lab you want to stay in for the entirety of your undergraduate career, it’s very important to just build a foundation. 1. The most important arena to prepare you and mold you into a strong candidate for graduate school. 2. Allows you to gain confidence (gradually) in your capabilities as a young researcher. 3. Exposes you to mentors at different scientific levels, mentors that might strongly impact your experience. 4. Compliments academic training and makes your undergraduate experience more well-rounded. 6. Builds your endurance, independence, and tenacity – requisite skills for graduate school. 7. After a postbaccalaureate (see article here), the second best experience that realistically prepares you for graduate school. 2. A bad undergraduate research experience could potentially weaken or remove your desire to pursue graduate school. After considering the advantages and disadvantages of undergraduate experiences you might be wary to commit to a full year of research your freshman year. So consider participating in a summer research experience at your school or a national lab! These experiences are carefully designed and well structured, and can be an important segue into a more protracted undergraduate research project. There are many ways to apply and secure a summer research experience, and many of these programs run between 2 – 12 weeks. Importantly, these programs are especially exciting because the majority of them offer a respectable stipend and place you in a cohort of students that are pursuing similar interests. Finally, participating in a summer research experience can potentially cement your developing passion and will make it considerably easier to secure a full year undergraduate research position at your school. If you are thinking of participating in undergraduate research talk to your advisor or any of your STEM professors. 1. Here is a relatively comprehensive list of summer research programs according to each respective university. Comb through the list to find your school or go to your school’s website to see if there are any listings under your department. 2. The most well-known and well-funded undergraduate research programs are Research Experiences for Undergraduates (REU) which is funded by the National Science Foundation (NSF). An REU is associated with an institutional program or lab. Click here to learn more about REUs! We are a scientific community, and finding mentors at different stages of the scientific spectrum is essential for your development and will make all the difference. I was lucky enough to find (i.e. actively seek out) mentors at each stage of my scientific career. These mentors will be crucial at every stage of your journey and will be especially important once you enter graduate school. Find graduate school mentors by joining professional STEM organizations on campus. Most of these organizations have mentoring programs between older STEM students and undergraduates. Hang back after class and talk to your graduate Teaching Advisor (TA) and see if they are willing to offer advice or point you toward better resources. Identify friendly professors in your department and reach out to them for help, insight, or advice. Finally, consider joining a national research network where STEM professionals across the country are willing to virtually mentor students. Sometimes an objective mentor can be very helpful. As you prepare for graduate school it’s very important to learn how to read scientific papers. This practice will also allow you to find methods and ideas as you tackle your own research endeavors. So if you join a research lab or participate in a summer undergraduate research talk to your adviser or direct supervisor in the lab. They should help you find reviews on the topic you are researching and pertinent papers that are relevant to your research questions. Most importantly, reading regularly and challenging yourself to tackle increasingly complex reading materials will strengthen your confidence and ultimately make you a better researcher. Why? Because regular reading habits allow you to tackle your project with greater agility and potentially uncover new ways to move your research forward. Reading is also a humbling experience because you become that much more aware of how inherently complex these issues are and how much more you have to learn. Finally, reading is crucial because you need to know how your research advances your field. This understanding will be critical to successfully apply for graduate school, secure grants, and present your research. So refer to PubMed to find thousands of reviews and original publications to guide your research. Creating a reading list can be overwhelming so look to your advisors or mentors in the lab to help you curate and refine your reading list. At every stage of your scientific career, read the literature. 2. Here is a more serious article that consolidates advice from many scientists about how to read an article. 3. This is a well thought out and step-by-step guide to successfully read a scientific article. 4. Here is another guide specifically designed for undergraduate and high school students. Finally, as you participate in more research experiences and begin to prepare for graduate school don’t underestimate the importance of communicating your research. Many scientists are guilty of ignoring the crucial skill of effectively communicating your science. As an undergraduate at Virginia Tech University, I received a dual degree in Biology (B.S.) and History (B.A.). This training was very unique because as a history major I was taught to always defend and substantiate my research and conclusions. I was rewarded for long, complex, in-depth analysis of the prompts that I received and the research projects I pursued. However, as a biology major, communication was not stressed and brevity was rewarded. Balancing between these two worlds was both challenging and invigorating but there is one principle that both disciplines embrace. Know your audience and tell a good story. Use every lab meeting, every conference (big or small) and any presentation as a chance to sharpen your presentation skills. This will help you at every stage of both your graduate career and is arguably one of the most valuable tools. Furthermore, effective communication is one of the most important skills that will also help you secure a job, ace an interview etc…So take these opportunities seriously. Even if your data is sparse or underwhelming find a way to making your presentation meaningful and engaging. Travel to undergraduate conferences and present your work. This will build your confidence and ownership over your project and your science. Regard your presentations as a tool that must be sharpened regularly. I promise you, this skill is valuable so don’t be afraid to start bad because you will get better. And if you are lucky enough to get an opportunity to publish your work – embrace this wholeheartedly. During my postbaccalaureate experience, I had an incredible advisor that gave me the opportunity to work on projects that would eventually lead to two first author publications. Although this process was challenging, it probably marked one of the most pivotal moments of my development as a scientist. In conclusion, by following these guidelines closely (not perfectly) I acquired the most valuable tool that prepared me for graduate school, trust. Even when I am confronted with a problem at the bench, in the classroom, or I’m applying for intimidating fellowships I trust myself. I don’t always know how I will overcome a barrier but I know that I can and I will – and that has made all the difference. Are You Ready to Apply for Graduate School? Are you ready to apply for graduate school? Are you less than 1-2 years from beginning the application process? Then refer to these helpful videos below generated by the National Institutes of Health (NIH). 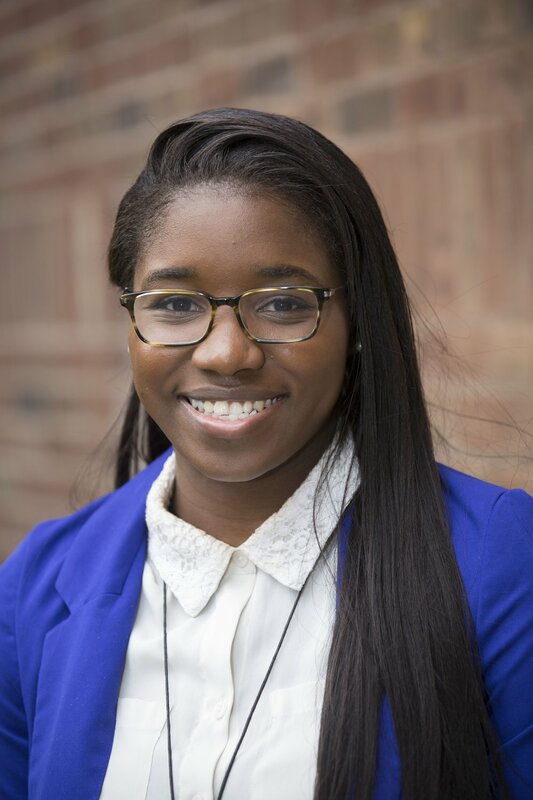 Titilayo is a 4th year Ph.D. candidate in the Department of Microbial Pathogenesis at Yale University. Her thesis work focuses on the autophagy pathway and the bacterial pathogens that have evolved mechanisms to avoid autophagy-mediated death. She’s very passionate and equally committed to advocating and serving the next generation of underrepresented scientists. Previously, she received her Bachelor of Science (B.S.) in Biology and Bachelor of Arts (B.A.) in History at Virginia Tech University. Following graduation, she was awarded a two-year research fellowship at the Department of Defense (DOD) to pursue her passion for biodefense and microbial pathogenesis under advisors, Dr. Susan Welkos and Dr. Chris Cote. She was recently awarded the Howard Hughes Medical Institute (HHMI) Gilliam pre-doctoral fellowship. As an HHMI Gilliam fellow she hopes to continue to develop initiatives and programs to fight for the overlooked and underserved – and stand alongside other advocates that are committed to ensuring that the next generation of scientists are not deterred by financial, racial or institutional barriers.